After the manufacturer's warranty expires, the Cub Cadet Extended Warranty adds another 2 years of coverage. Should your product need repair, this plan will help keep you covered, so that you can spend your time enjoying your yard, not worrying about it. For complete details, refer to the terms and conditions. 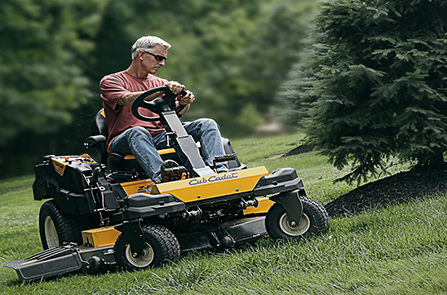 Your Cub Cadet Extended Warranty provides peace of mind with additional product protection. All residential snow throwers, walk-behinds, zero—turns, and lawn tractors are eligible. Extends warranty 2 years after manufacturer's warranty ends for additional product protection, including parts and labor. If repair cost exceeds purchase price, receive a new product with similar features. Receive service through your local authorized Cub Cadet dealer. Your warranty is transferable to another owner (transfer fee may apply). Product is covered at any authorized Cub Cadet service dealer in the U.S.